The Mars rovers has run into some command problems. NASA is trying to sort out the problem. Earlier in the week the issue became apparent when Spirit reported that it received its driving commands but didn't move. 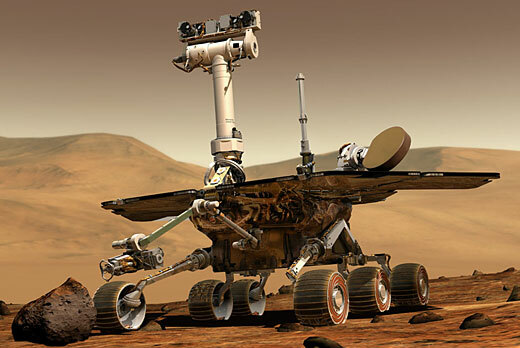 The Spirit Rover had further complications later in the day when it failed to record its daily activities. Spirit is unable to even locate the sun in order to reorient itself. NASA is trying to run some diagnostics to pinpoint the problem. The trouble could possibly be caused by cosmic rays according to NASA engineers.